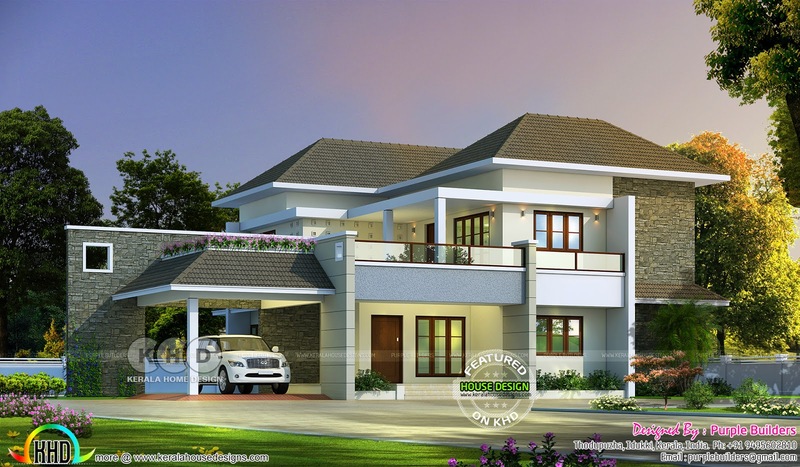 Very beautiful modern house with 4 bedrooms in an area of 2580 square feet (240 square meter) (287 square yards) 4 bedroom attached sloping roof home plan. Designed by Purple Builders, Thodupuzha, Kerala. 0 comments on "Awesome 2580 square feet 4 BHK house plan"